Today we’d like to introduce you to Rogene Russell and Rachel Assi. Fine Arts Chamber Players (FACP) was founded in 1981 by Rogene Russell and Charles Price, in collaboration with the Dallas Museum of Fine Arts, FACP’s namesake. Russell and Price saw a need for accessible chamber music performances in Dallas, particularly during the summer months, and together, they created the Basically Beethoven Festival (BBF). Now in its 37th season, the Basically Beethoven Festival attracts nearly 5,000 concertgoers to the Dallas Arts District for free, family-friendly performances by local professional musicians, including members of the Dallas and Fort Worth Symphonies and faculty members from area universities. BBF also features young artists from the Dallas area in Rising Star Recitals before each main performance. In addition to BBF, FACP also presents the free Bancroft Family Concerts on Saturdays throughout the year in collaboration with the Dallas Museum of Art. These performances reach more than 2,200 people each year, including families with young children and elderly patrons on fixed incomes. Fine Arts Chamber Players education programs include Music A-Z, a kindergarten reading readiness program that pairs music and phonics; Dream Collectors, a troupe of musicians and actors who integrate core curricula with the arts; and Music Residencies, which place teaching artists in Dallas schools for long-term, individualized music instruction. 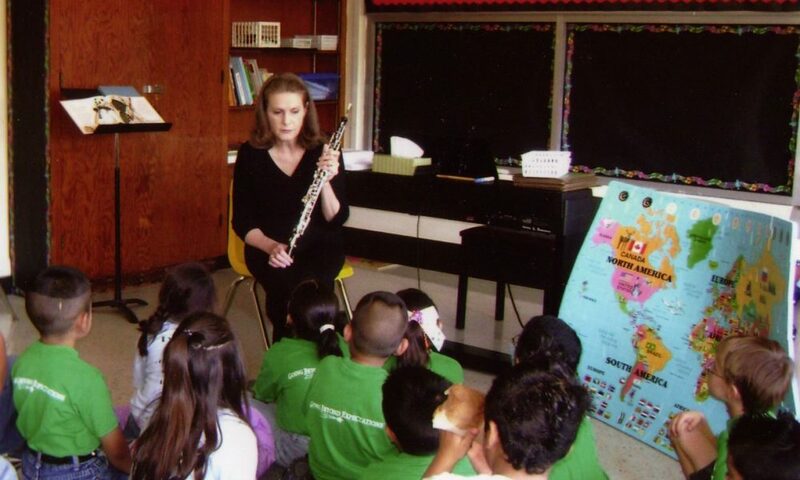 Fine Arts Chamber Players has served 225,000 children through its education programs and performed for over 550,000 North Texas residents to date. Rogene: Funding a non-profit performing arts organization that does not sell tickets as part of its income stream has been a challenge. However, due to the generosity of funders in the Dallas area and FACP’s ability to use those funds judiciously, we are about to launch our 37th Basically Beethoven Festival in July. Attracting musicians to perform on our series and an audience to listen has never been a problem. Rachel: As an organization with a small budget and a small staff, we stretch every dollar as far as it can possibly go! Sometimes the smallest unexpected expenses make us nervous, but we are focused on our mission, which is to engage as many North Texans as possible in incredible musical experiences. Please tell us about Fine Arts Chamber Players. Rachel: We are really proud that we are able to work almost exclusively with talented local performers. There are so many amazing artists here in the Dallas area, and we are committed to presenting performances by those who live and work in our community. We are also proud of the diversity of our audiences. We have people of all ages, backgrounds, and musical experiences at every performance, and we know that our concerts serve as an introduction to music for thousands of children and families. Rachel: Fine Arts Chamber Players has filled a musical void in our community since we began nearly 40 years ago. Every few years, we have grown and adapted to better fit specific needs or demands. I don’t know that we would have done anything differently- we are always evolving!